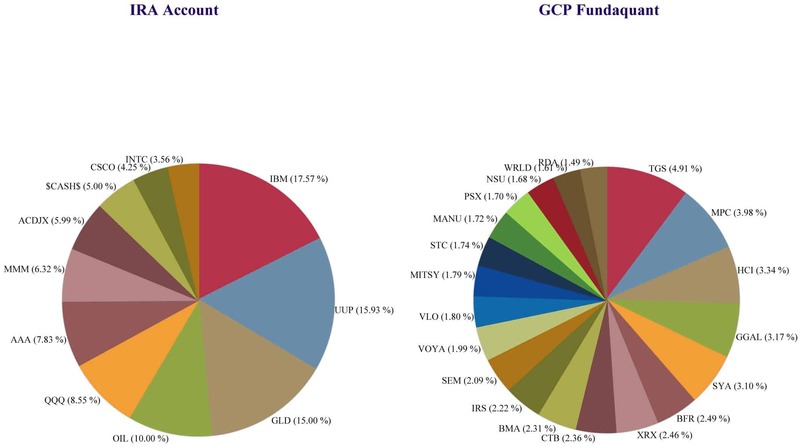 Current style-based asset allocation methodologies do not contain enough unique sources of diversification to properly protect portfolios from large losses during declining markets. Correlations of the most commonly used investment styles converge during bear markets, all moving down in unison, exposing a portfolio to large periodic portfolio losses. Gravity Investments has developed and patented a technology called Gsphere, which empowers investment managers to quantify, visualize, and optimize portfolio diversification. The 3D visualizations produced by Gsphere expose diversification within a portfolio that can lead to large losses and long-term under performance. This is a true breakthrough in portfolio management, taking diversification from an intuitive concept to a tangible portfolio attribute that can be measured, visualized, and optimized. multiple and divergent sources of diversification. Where there are empty sectors within the sphere, there are diversification holes that unduly expose the portfolio to adverse systemic events. These gauges break put diversification three different ways and put the diversification value in context with other portfolios based on a color coded system. Systematic Diversification is an holistic measure that examines the degree to which assets in the portfolio move together. It does not use an external benchmark. Total Diversification examines the portfolios total dimensionality by combining both the systematic and non-systematic sides. Non-Systematic Diversification is a function of the number of investments in the portfolio and the weights applied to them. This is also interpreted as an equal weight equivalent, or, the number of investments essentially held, if they were all equally weighted. Maintaining a sufficiently high score protects against company or strategy specific risks. 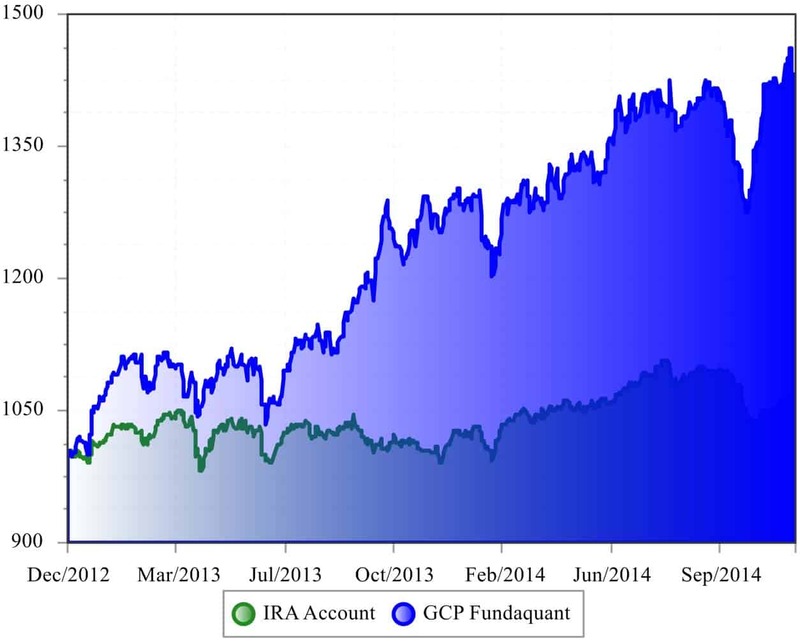 This graph illustrates the hypothetical performance gain or loss obtained by an investor having invested an initial $1,000 in the strategy. In this chart, dividends are reinvested and performance is calculated gross of fees and other expenses. These fees and expenses will decrease total performance. 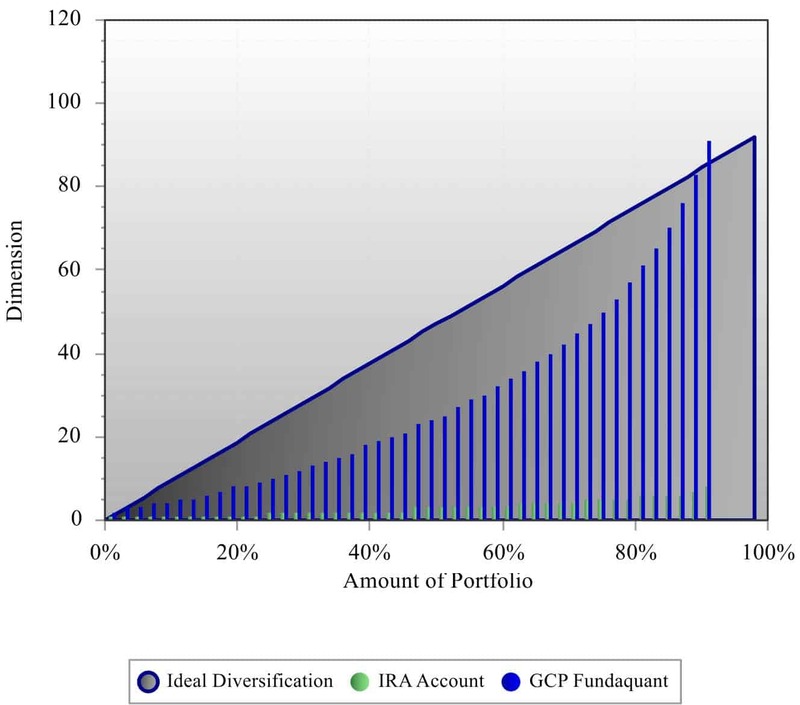 Portfolio Diversification is measured by the portfolio’s dimensionality. The portfolio’s energy or variance is ranked from the most fundamental (0%) to the most fragile (100%). The left side of the chart illuminates the portfolio’s systematic risk exposure while the right illuminates the non-systematic risk. Higher dimension values give more diversification, and charts that tend towards the diagonal line as opposed to a more hyperbolic effect have greater internal strength and consistency. The diagonal line illustrates what perfect diversification would look like given the number of investments, while the gap between the chart and that diagonal shows the portfolio’s unmet potential. This information is provided solely for informational purposes and is not an offer to buy or sell a security. Asset performance statistics may not be adjusted for commissions, sales changes, taxes and other fees. Fees may have a significant impact on performance.